Microsoft in April plans to begin nagging Windows 7 users with messages that the operating system is nearing its forced retirement, the vendor has revealed. Preemptively labelling the nags "courtesy reminders," Barlow told Windows 7 users to expect them "a handful of times" between April and December. Windows 7 officially falls off support on 14 January 2020. 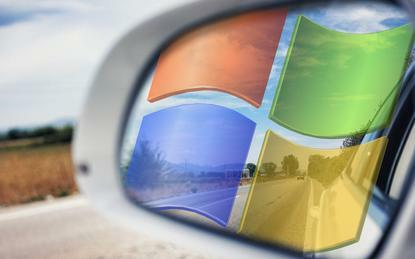 The Windows 7 notices will appear eight months earlier than those XP warnings. Only in March 2014, just a month before XP's expiration, did Microsoft begin placing on-screen reminders of the impending date. The Windows XP proclamations were issued monthly. If Microsoft uses the same schedule and cadence, it will first push the notices to Windows 7 on 14 April, then repeat them on the 14th of each subsequent month. The accelerated schedule may be due to Windows 7's continued strength. According to Computerworld's latest forecast, which relies on data from analytics company Net Applications, Windows 7 will power more than 40 per cent of all Windows personal computers at the end of January 2020. If accurate, that number would be significantly higher - about 35 per cent higher - than the portion of all Windows PCs that ran XP soon after it reached support retirement. Five years ago, Microsoft pushed the on-screen alerts only to systems maintained using Windows Update, the stock consumer and small business service. Windows 7 PCs managed by enterprise IT staff using Windows Server Update Services (WSUS) were not fed the nag. Administrators were also able to remove and/or prevent the warning by modifying the Windows registry or setting a group policy.